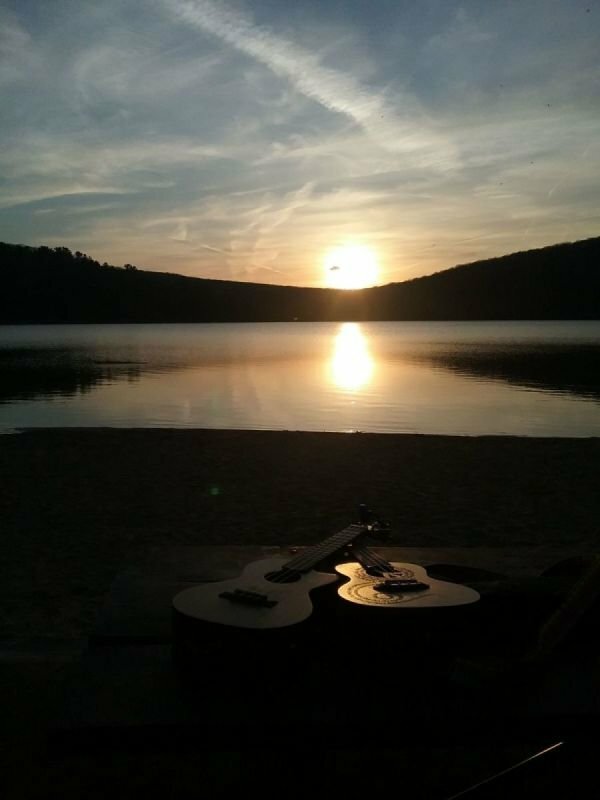 A few months ago, my friend Angie and I were playing our ukuleles by a lake when an older, disabled person approached us asking if we could teach her a few chords and maybe sing a few songs. We did and by the end of the night, she said it was an experience that she would never forget. Having had similar experiences before (i.e. turning strangers into friends through music), we thought, "What if this can be a thing that we do to make our world a better place? to unite people of different walks of lives? To create a musical community that welcomes all regardless of everyone's background, skin color, learning style, occupation, and so on. What if we can invite others to have this kind of experience all the time?" We shortly decided that it will be our mission to make this a reality. 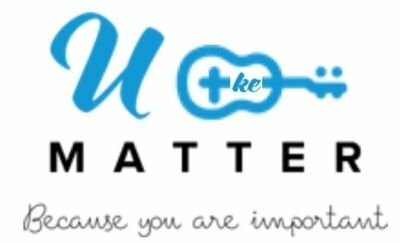 We, then co-founded U(ke) Matter, which is a community ukulele project in Wausau area. In doing this, we will schedule sing-alongs and meetups in the Wausau area. 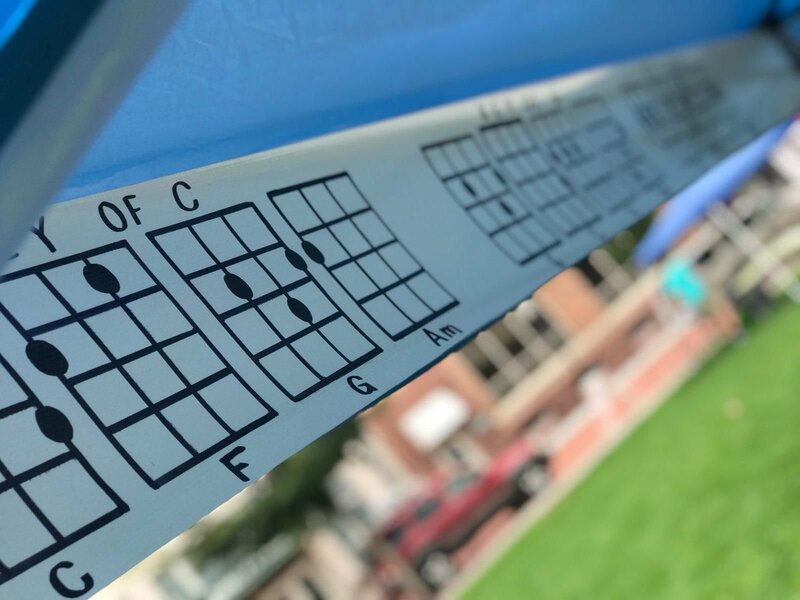 Initially, we will focus on beginning learners - we will teach 2-5 chords and provide learners with songs that use only those chords so that everyone can experience success. 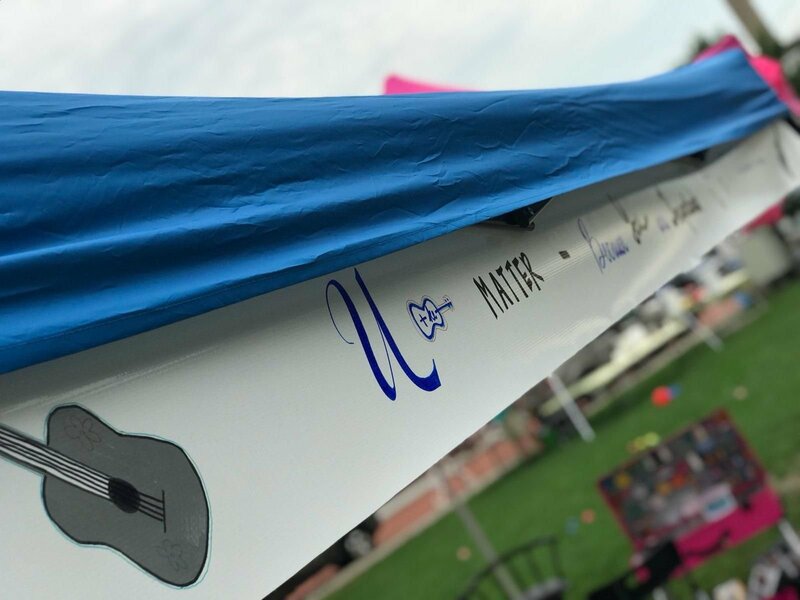 We will provide extra instruments and songbooks for those events in the event that those who happened to be passing by can also participate if they wish. Our goal is to eventually "branch out" and have mixed-level sing-alongs throughout the Wausau area. We finally took our first step by teaching dozens of budding ukers how to play their first 5 songs! So... our first outreach effort was today! In collaboration with NAOMI/WISDOM, with some financial help from Thrivent Financial and teaching help from our advanced ukers at Good Shepherd Lutheran Church, we participated in the Unity Project Concert this afternoon: August 4, 2018 at the 400 Block in Wausau. We had a teaching booth there, where our four instructors taught ukulele basics to over 2 dozen people in the course of 2.5 hours, many of whom just happened to pass by. As I write this, I am trying to think of the things that brought me joy in that span of 2.5 hours: the beaming eyes of a child who held his-favorite-colored ukulele, that first smile you see when someone hear himself/herself strumming their first chord, the eager learner who sat down and practiced her four chords so she could play "Puff the Magic Dragon," the list continues.... And while this is happening? There is that connection, yet again, between all of us who are making music together or stopping by to listen-- you know, that connection that once again helped us experience our common humanity. Our next step is to meet for another circle of songs at the 400 Block on August 13 at 5:30 pm. 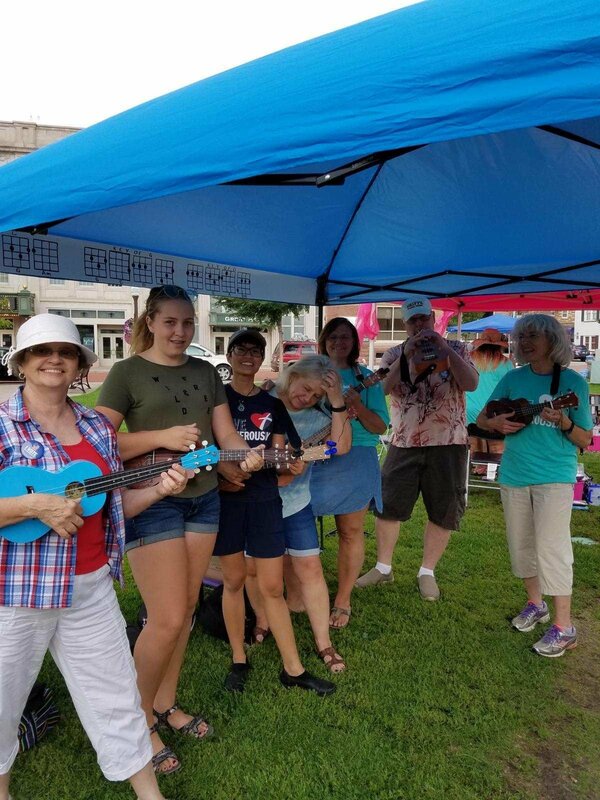 We will bring our ukuleles along so that even those who do not have an instrument can join in and learn (or hang out with us). So... hit us up (ukematter@gmail.com) if you are interested in joining us in this event. Or just show up!